Nice description. "barnish" The blue paint has aged particularly well. Why do these older cars have such Magic? Looks like a pretty solid and complete car! 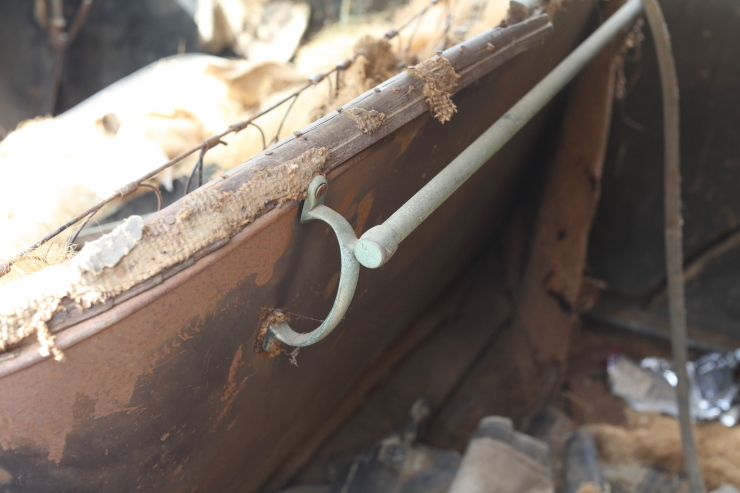 To identify the model year, you really can't go by the fact that the car has a nickel radiator shell, because it's an Australian car. 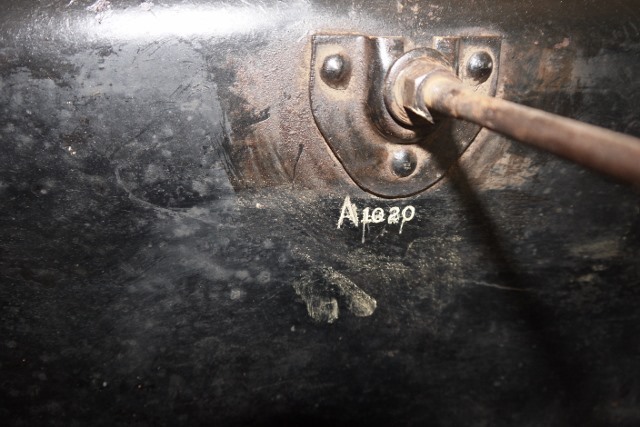 However, it's definitely not a '23 as Steve says, and it's probably a '26, as I think all the '27's had a vaporizer carburetor, and this car doesn't. 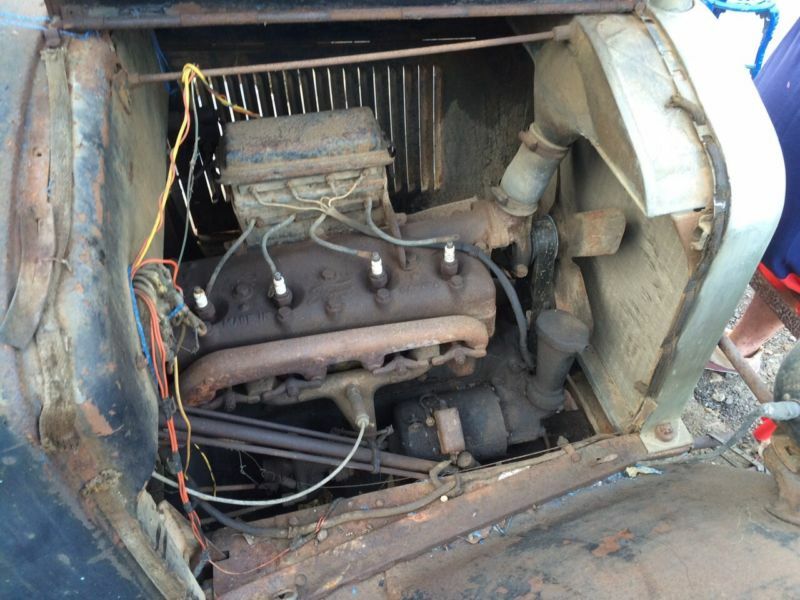 Hey you "Australian guys,....notice I said "carburetor", which is the same thing as you guys down under call a "carby"! 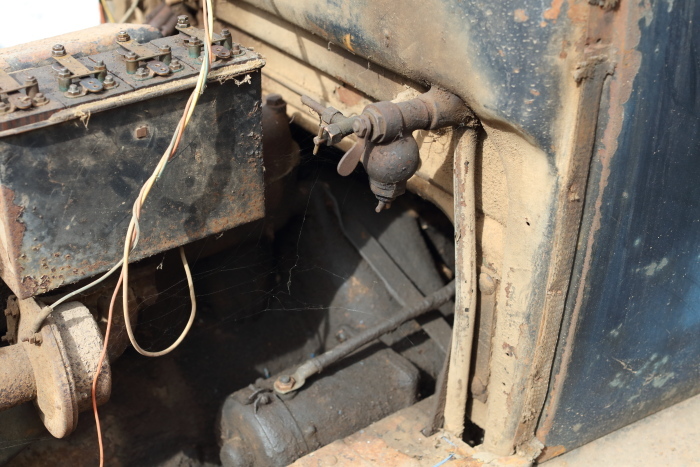 Ha, ha,.....just kidding, but truthfully, I don't think I've ever noticed an Australian spell out the word "carburetor"! It looks like someone in Australia will have a very nice "Improved Car." Because it has the headlight bar I do NOT think it is a very early 1926. [To see an original very early 1926 touring that does not have the headlight bar please see John H's car on his profile at: http://www.mtfca.com/cgi-bin/discus/board-profile.cgi?action=view_profile&profile=26tourer-users ] Note John's car appears to be a similar color scheme to the one that is for sale. One word of caution to any potential buyer. Be sure to check the wood framing on the body. 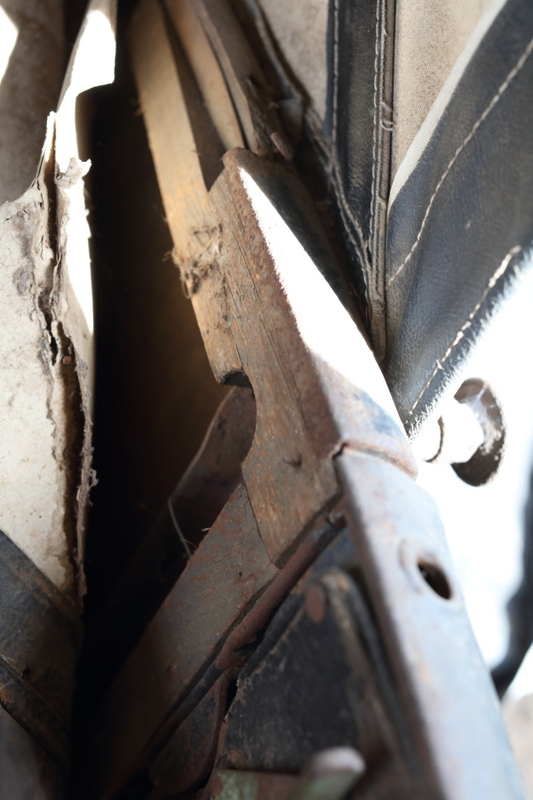 The 1926-27 USA, UK, and Canadian cars had a basically all metal body (except for some wood strips for the upholster to be tacked to). 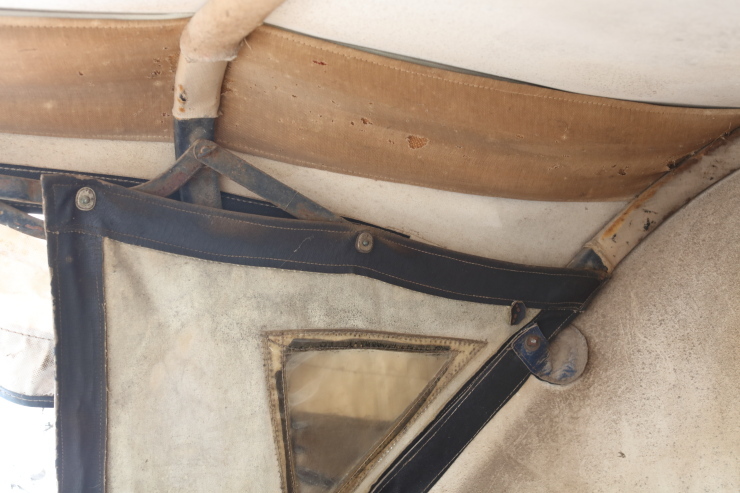 The Australian bodies used the Canadian outside metal panels but they were tacked onto a wood skeleton very similar to the way the 1911-1925 bodies were constructed. So if the wood is bad, it will need to be rewooded. That can be done - but is it is not like the US, CA, & UK bodies that all the wood could rot away and the doors still opened and closed fine. Base on the looks of the body from the photos, I would anticipate the wood is in better shape than many Ts that are found. But be sure to check. 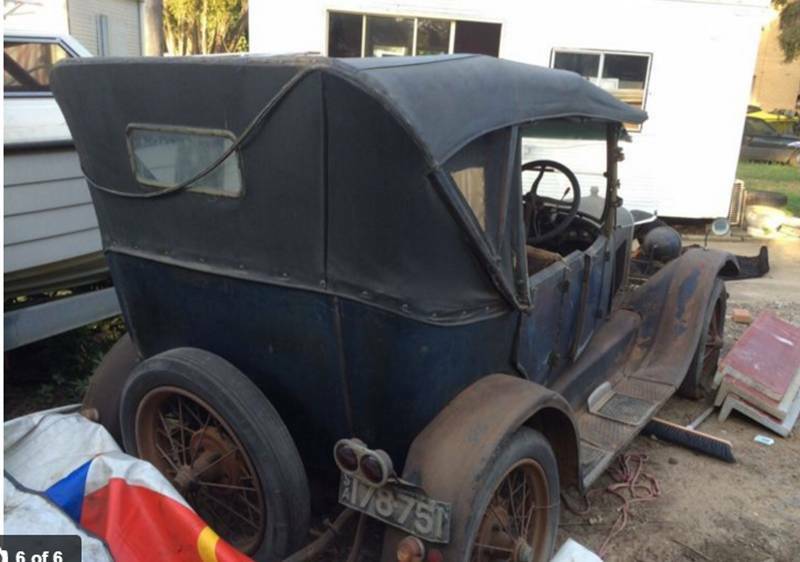 For additional details on Australian 1926-27 body panels over a wood frame please see: http://www.mtfca.com/discus/messages/50893/68831.html?1225239602 Note that posting indicates the doors are all metal and not metal over wood -- see Andrew's posting at: Sunday, October 12, 2008 - 12:56 am in that thread. And of course if someone purchases the car -- I hope they let us know and post some additional photos of the car. mmm! it would need to be, for $15,000.00 I'd let someone drive one of mine home! and eliminate the restoration expenses. I purposefully did not put any reference to a good price or high price because I don't know the exchange rate or what other Ts are going for there. 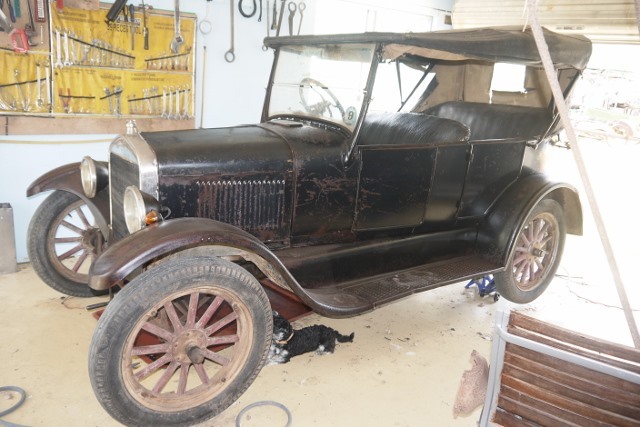 Of course on that same site there is a 1923 or so Buick that appears fully restored for $1000 more.... Thanks for putting in a reference point for anyone who might be in the market for an additional T.
But I still think that car will make a really nice T -- perhaps even a survivor. At least based on the photos it looks like it might. 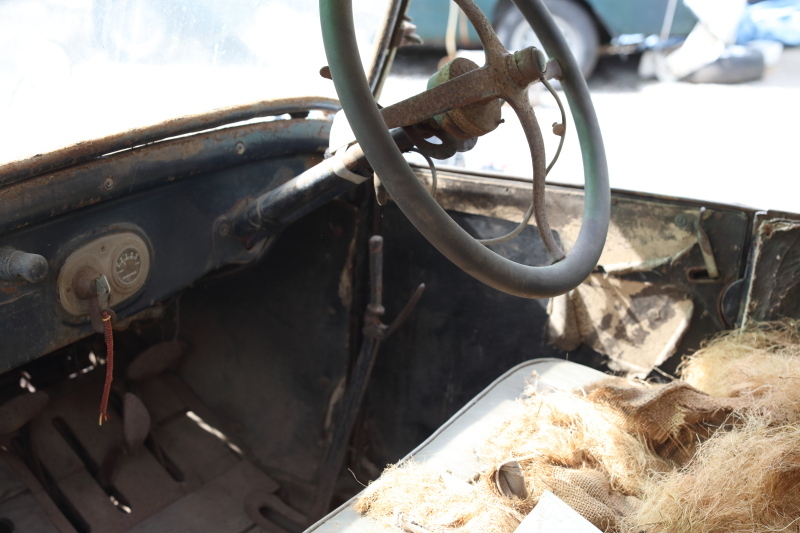 Sometimes folks are told an antique car is worth 1/2 million dollars. And for many Dusenbergs etc. they can easily be worth that much. But one of the reasons Fords are so nice to have is the average person can usually afford to own and operate one. And if the owner wants to sell the car, when they see what they are offered or when they put it on e-bay or auction it, they will discover what it is really worth at that time. 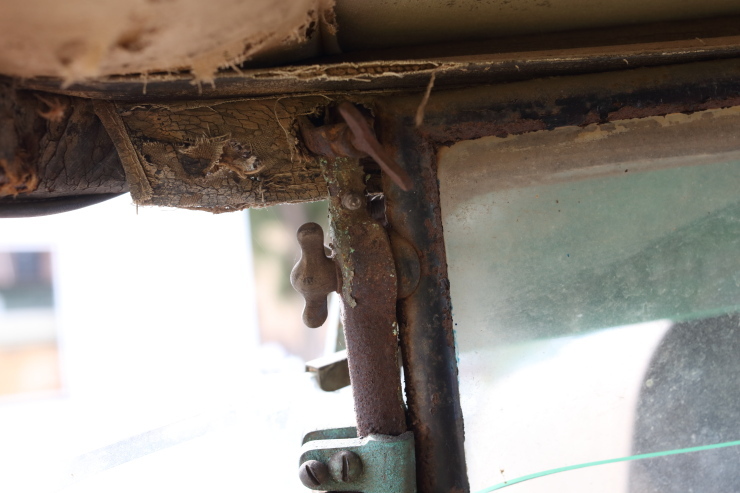 You can just make out the Made in Australia plate rivetted to the dash below the dash light. My 1927 has the rivet holes and light in the same spot. That's a great photo of JohnH's car! John H's car is a similar color but, has the wood 30 x 3 1/2 demountable clinchers, does not have the tie bar for the headlights and from only looking at photos of both cars, I believe John H's car is in a little better original condition. There certainly is a striking resemblance. It's painted in the same "Imperial Blue" as my car. However it's later than mine, as shown by the bumper bars, wire wheels and headlight bar. Looks more like 1927. I agree Frank, and only needs a respray....yeah right! 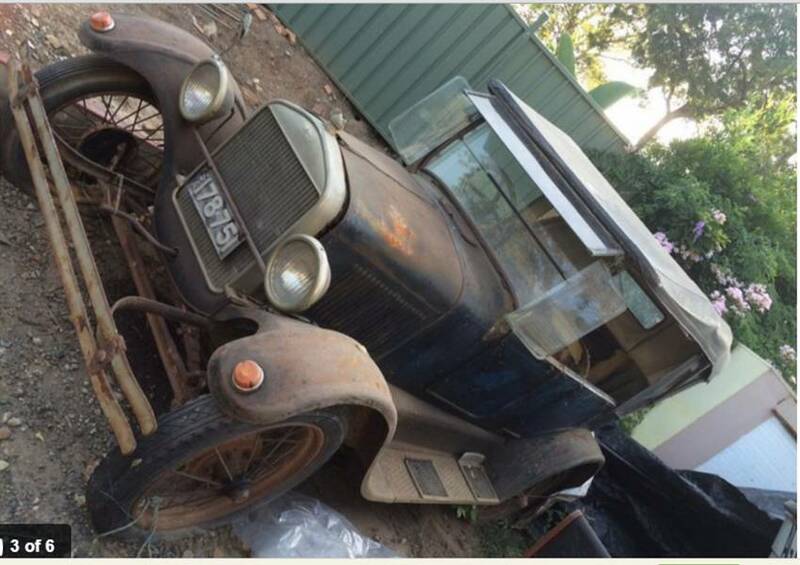 With that South Australian registration number, it may be quite easy to establish who the first owner was, if the number is original to the car. The Royal Automobile Association has/had records of registrations as published each month up until the late 1920's. If I remember correctly, that number will fit within the time frame for 1927. Thank you for posting the photo of your Australian Branch Assembly number on your firewall. That is a nice looking touring you have. Thank you for adding some additional photos. Any others that you have would be appreciated. Also please confirm those are photos of the Touring that is listed for sale or correct my guess. From the red string on ignition key to the colored wires running from the horn area I'm 90% sure they are the same car. But of course you know the real answer. Because the car still has the engine pans I would think it probably did not have a major engine rebuild, as those were often left off once they were removed. Again thank you both for posting the photos. 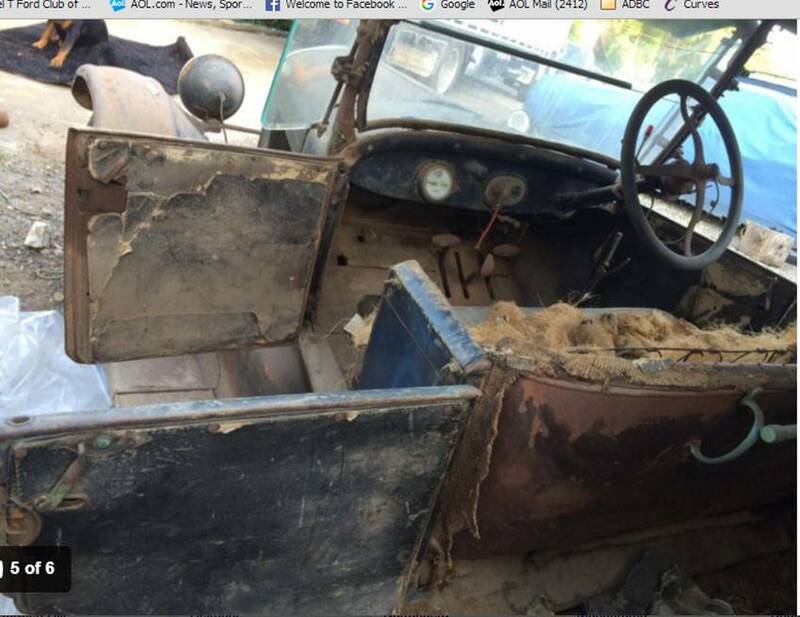 Yes, this is the car that is currently for sale. I have some other photos I can post tomorrow. 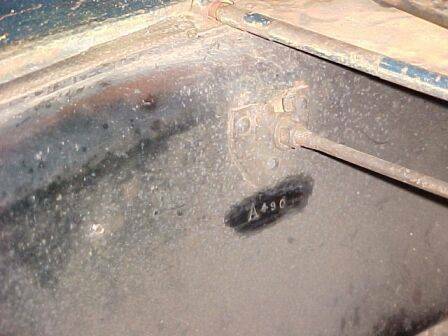 The engine number is April 1926. Thank you for the clarification. And we look forward to any photos you can post or send. If you have a photo of the upper part of the firewall we may be able to zoom in and read the Branch Assembly number from the photo. Sometimes the angle, dirt, or shadows will prevent us from doing that. But sometimes we are lucky and can see the numbers. More photos. I didn't get the number off the cowl. 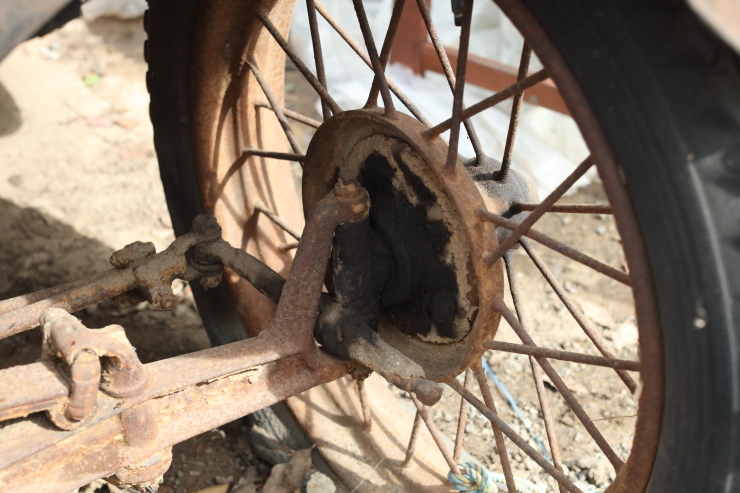 I suspected it was 1926 when I saw the early style fan mount. The engine number is about 30,000 blocks after mine, which I think is Dec 1925. 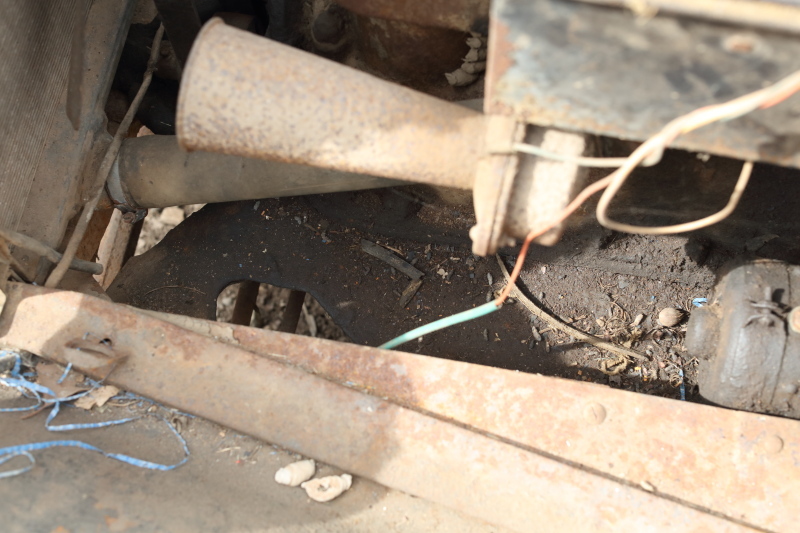 Interesting carby to control rod connection. 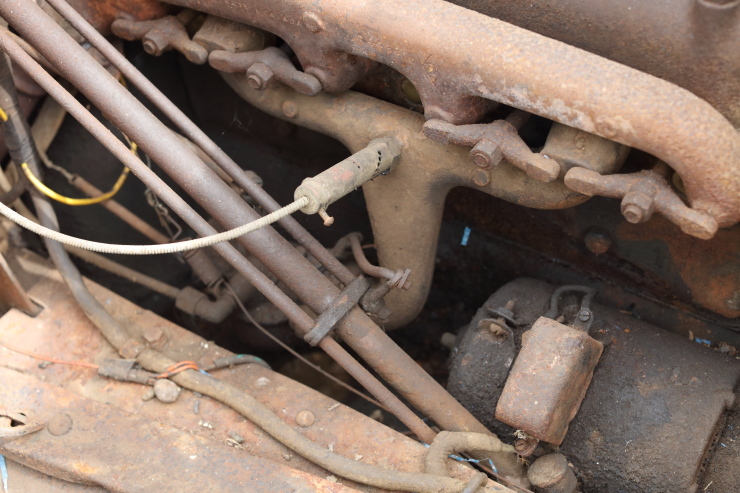 Usually the connection at the control rod enters the arm from below. 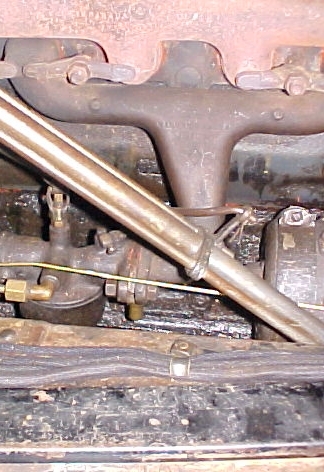 The rod itself goes around behind the inlet manifold in a u shape to connect with the carby. I have seen this short one before, but thought it may have been home made. Perhaps not. The control rod is the same as mine.